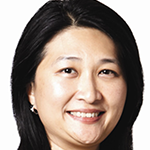 Junie Foo is Group Executive Director at MWS ( Methodist Welfare Services), a multi service charitable organisation in Singapore serving the community. A champion of women advancing into senior leadership roles, she views a focus on gender diversity within organisations to be both a recipe for business success and a socially responsible measure. A Co-Founder and Chair of BoardAgender, Ms Foo is a former President of Financial Women’s Association and has held senior management positions in international banks. She is a Fellow and council member of SID (Singapore institute of Directors) where she chairs the Board Diversity and Advisory committee. She is also a member of the SIM Governing Council (Audit Committee). She sits on the board of the Singapore Art Museum and on the advisory council of the NUS Faculty of Arts and Social Sciences.